The usage of Short Message Service (SMS) spread rapidly during the last decade of the 20th century as a means of personal communication between users of mobile phones. Today hundreds of billions of SMS messages are sent each year and wireless messaging is the most successful mobile data service to have emerged during the history of the mobile phone industry. 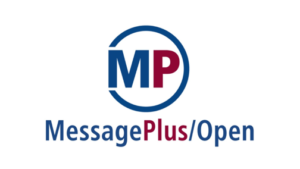 MessagePlus/Open provides open interfaces for all kind of computer based SMS services which can be easily used by applications. All major integration modules such as the email gateways and file based interfaces support SMS messages in addition to fax and email, using the same easy to program syntax for all message types. To transmit and receive SMS messages MessagePlus/Open can use dedicated modem devices and supports all major protocols used by Short Message Service Centers (SMSC).